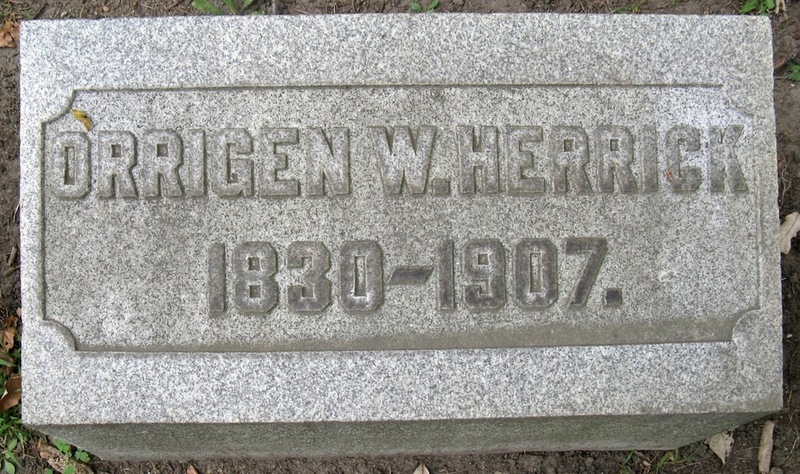 O. W. Herrick arrived in Oak Ridge (now Oak Park) on Christmas Day, 1859, as the newly-hired principal/teacher of the town's two-room brick school at what is now the south-east corner of Lake Street and Forest Avenue. He was a cousin to James Scoville, an important pioneer who had come to the village in 1856. A year after his arrival, he married Dora Kettlestrings, daughter of the first settlers in the area. 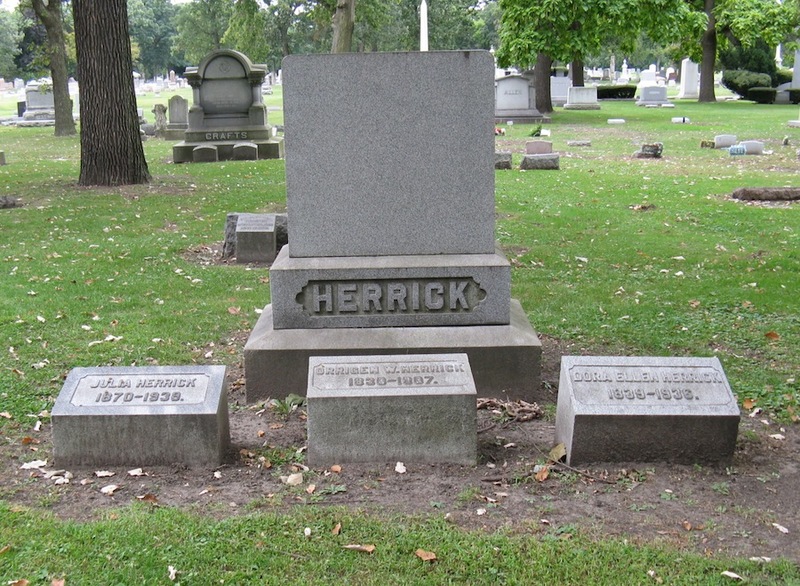 In the forty-eight years that Herrick lived in Oak Park, he filled almost every public office, including postmaster, school trustee, justice of the peace, notary public, and legislative representative. He also operated a general store. He was especially proud of being elected "mayor" of Oak Park when the village tried to separate from Cicero Township in 1899. However, it took a legal battle before Oak Park became a separate village in 1902. Herrick was involved in real estate and help establish Avenue Bank at Oak Park Avenue and North Boulevard. On the day of his funeral, all businesses in town closed at 2 p.m. as a mark of respect. James Herrick, his son, was in the first graduating class at Oak Park High School in 1877. After college, James taught at the high school until he entered medical school. He practiced medicine in Chicago until he was eighty-eight years old. He is credited with two major contributions to medical science in 1910, he identified sickle cell anemia, and in 1912, he documented the first diagnosis of coronary thrombosis.